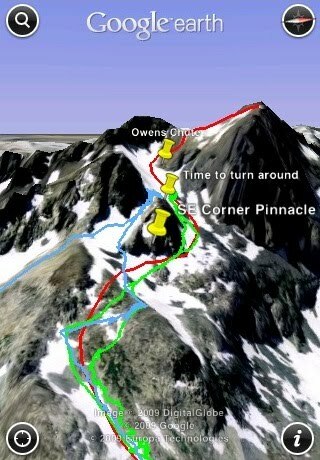 Have you ever wanted to view a custom map with Google Earth on your iPhone? Well, now you can. By logging in directly to your Google Maps account, you can view the same maps that you or others have created, using the My Maps interface. Maybe you're on a trip and want to see where Tony Wheeler, the co-founder of Lonely Planet, most likes to travel. Or perhaps you're walking around looking for a restaurant and you want to see where world-famous chef Ferran Adrià likes to eat. All you have to do is click "Save to My Maps", open Earth on the iPhone, log in with the same account information, and voilà, you have your same collection of My Maps right in your pocket. We've also included new languages in this release, bringing the total to 31 languages from the original 18. The complete list of languages is: English (U.S), English (UK), French (France), German, Traditional Chinese, Simplified Chinese, Dutch, Italian, Spanish, Portuguese (Brazil), Portuguese (Portugal), Danish, Swedish, Finnish, Norwegian, Korean, Japanese, Russian, Polish, Turkish, Ukrainian, Arabic, Thai, Czech, Greek, Hebrew, Indonesian, Malaysian, Romanian, Slovak, and Croatian. We hope you enjoy our latest release. Please note that the app will be rolling out around the world over the next twenty-four hours - if you don't see it immediately, be sure to check back soon. 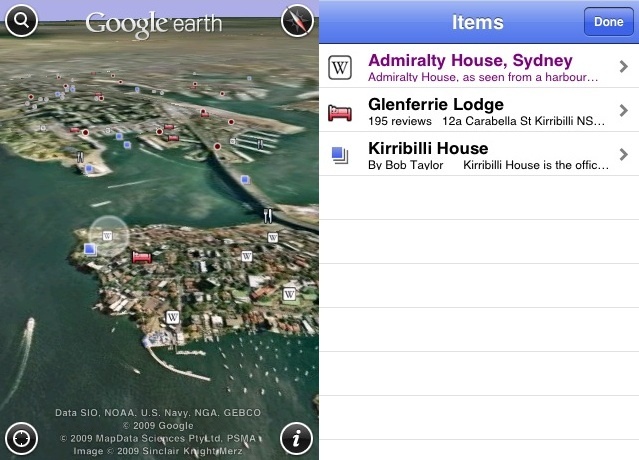 You can download Google Earth for iPhone here.